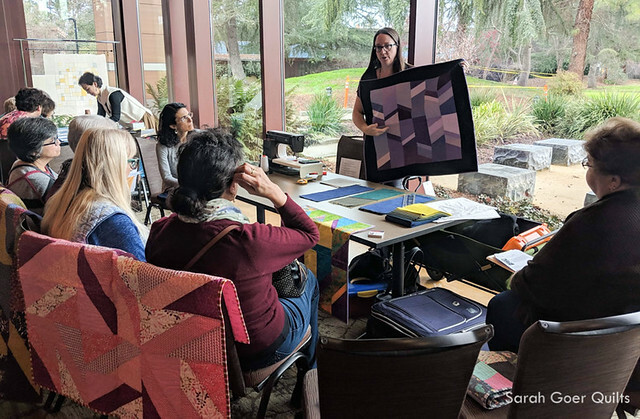 Earlier this month I was honored to be one of nine teachers presenting at the Northern California Quilt Council All-Star Review. This is the same organization that hosted the Northern California Meet the Teachers event I presented at last year. All-Star Review fell the day after I taught in Tehachapi. 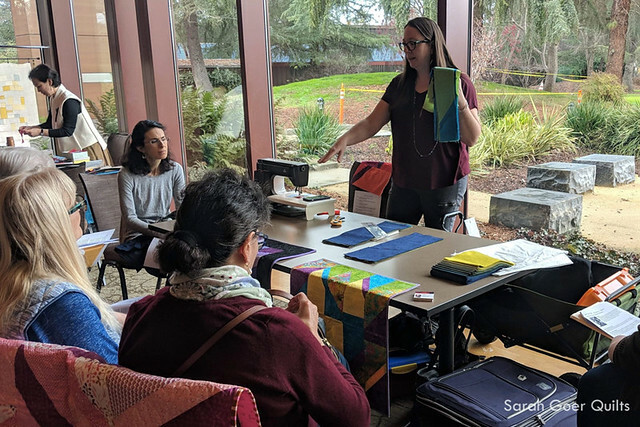 It was a whirlwind week to go from teaching in the mountains of Southern California to multiple presentations the next day in Northern California. A fun, exciting whirlwind! I had such a great time at All-Star Review. Each of nine teachers had a presentation space with room for attendees to sit for a demonstration. I shared my Planned Improv: All About Angles technique for seven 13-minute presentations. In case you've never given the same presentation many times in a row, about four presentations in I no longer knew what I'd said or what I hadn't said. It was reminiscent of Back to School night when I was teaching middle school and had to give my teacher spiel six times in a row. Naturally I started a new project for the demonstration. 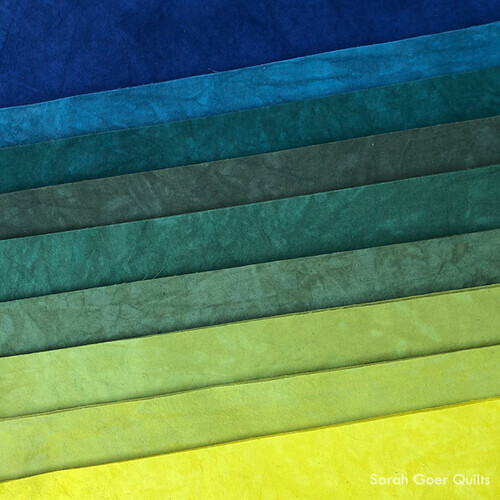 I chose this beautiful bundle of Meadow from Cherrywood Fabric, plus yardage of Cherrywood Indigo. 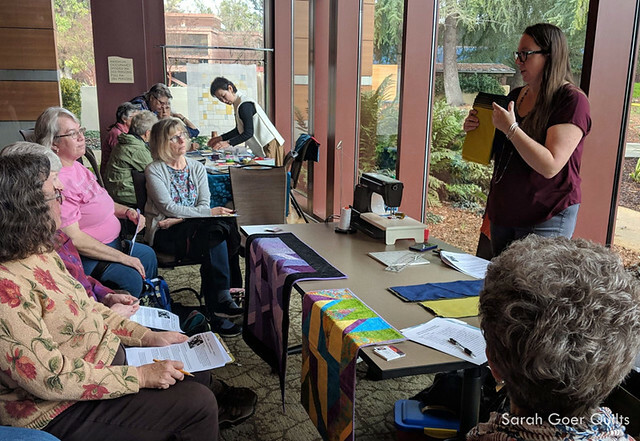 The presentation was a chance for guild representatives to get a glimpse of my workshop and get to know my personality and presentation style. There was even time for a little Q&A during the presentation. Here's a peak at one of the units I put together during my demo. I look forward to pulling this project back out and working on it. I'm currently traveling throughout California (and happy to travel beyond) to lecture and teach 6-hour technique-based workshops on Planned Improv. 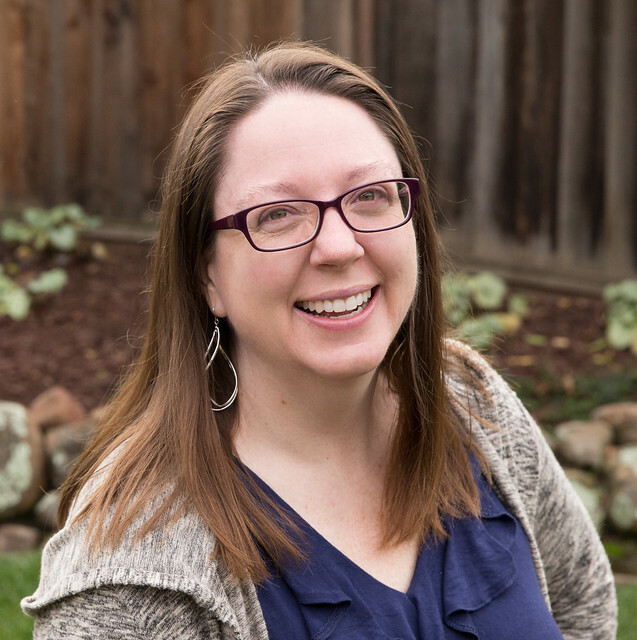 You can read more about what I have to offer on my Teaching page. A great big thank you to Mel Beach for taking photos of me during my presentations and to NCQC for organizing this well run event. Posted in Quilting. 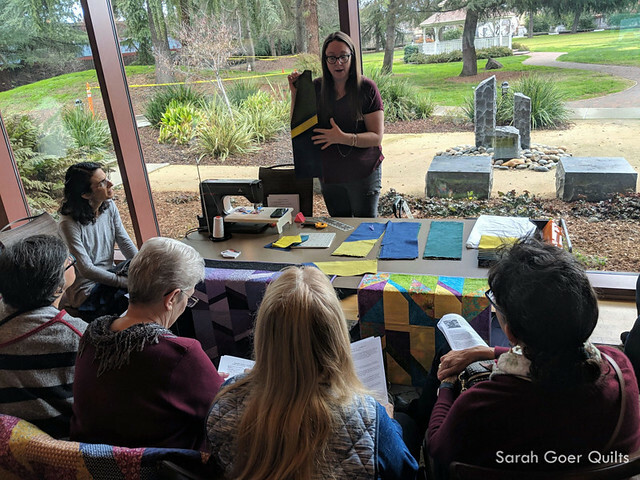 Tags: all about angles, planned improv, Sarah Goer Quilts, teaching on January 31, 2019 by sarah. I can only imagine what it would be like to repeat the same content so many times in a row, but I am sure you handled it beautifully!